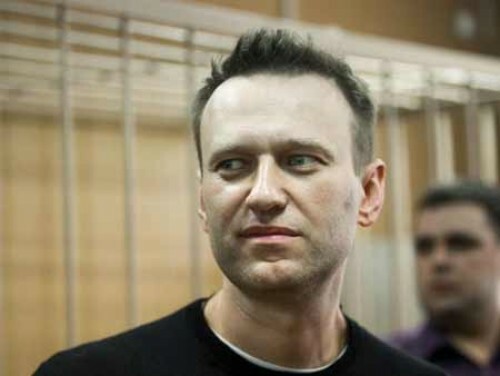 Moscow, Oct 22 : Russian opposition leader Alexei Navalny was freed from a prison here on Sunday after spending 20 days for repeatedly organising anti-government protests. Navalny posted a photo of himself on Instagram which he captioned with a short summary of what he had done while in prison and announcing another rally scheduled for Sunday night, reports Efe news. "In 20 days I've read 20 books, learned a few words in Kyrgyz, drank 80 liters of tea and listened to the same song on the radio no less than 60 times. Ready for work," he wrote. He had been arrested at the entrance to his home on September 29 when he was on his way to a rally in the western city of Nizhny Novgorod. Navalny is continuing his electoral campaign despite having been disqualified from the upcoming presidential election, slated for March 2018, due to his police record. Because he was in prison, he was unable to attend the national protest he had called on October 7, the day of Russian President Vladimir Putin's 65th birthday, but he said he was satisfied with the way it had unfolded, with some 36 legal and 26 unauthorised events held across the country. According to sources, some 300 people were arrested throughout Russia that day, though police claimed only 136 people had been detained and they were all released soon after.